Khan Academy is one of the biggest and most comprehensive catalogs of educational videos and it’s all free for the taking. And now it’s arrived on the iPad - the whole collection of over 2,700 videos is up for grabs and taps. 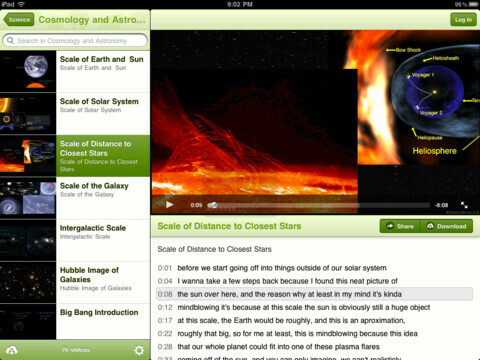 The idea behind Khan Academy is that of a whole university at your fingertips. The videos aim to explain in simple terms and topic by topic everything from calculus through biology and to astrophysics. The iPad app allows you to watch the videos offline and even have your progress synced between devices, so if you pause a video on your notebook, you can pick it up from the same place on the iPad. The tablet application doesn’t offer the full functionality you’d get on the web such as exercises, but it does offer detail transcripts of the lectures allowing you to go back and revise something you’ve missed easily without going through the whole lecture again. 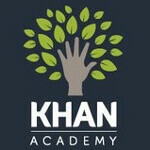 The story behind Khan Academy is an interesting one. The whole idea occurred to hedge fund manager Sal Khan who had to tutor his younger cousin in math. He first wrote small apps to help her understand some problems, but later switched to YouTube videos and in no time he was tutoring 25 people in his family. Now, the outreach is huge and you can join in the learning for free on your iPad if you hit the source link below. most people can't afford apple products!